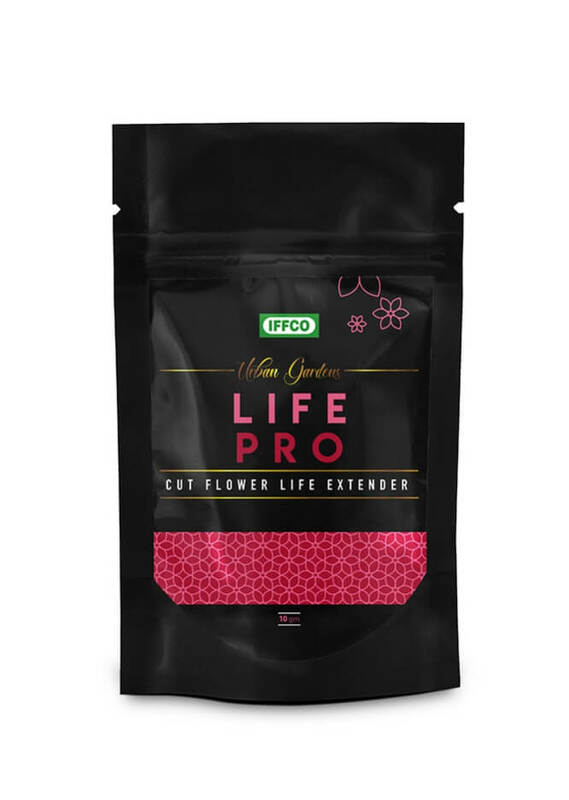 is a magical mixture that has all the good stuff which is required to extend the shelf life of a cut flower. It helps in increasing the life of cut-flowers from 2-3 days to 7-8 days! Extends the cut flower life. Use clean or properly washed vase or container. Pour this whole sachet in about 1 liter of Luke warm water in flower vase and mix it. The flower stem should be cut diagonally before placing it for better results. Ensure that 2/3rd of the stem should remain in water.